WWE Raw Results 7/24/2017: Tonight is the Monday Night Raw episode. 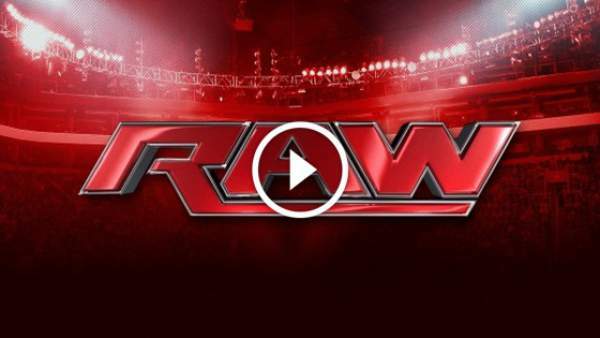 The live streaming of Raw starts at 8 pm ET on the USA Network and WWE Network. The results of the matches will be available then. Let’s check the match card, preview, predictions, and spoilers until then. In today’s segment, we will witness the Jason Jordan’s fall out to be unveiled as the son of current manager Kurt Angle. The winner of Sasha Banka vs Bayley fight will face Alexa Biss in SummerSlam 2017 to be held on August 20. Big Cass defeated Enzo Amore. Jason Jordan defeated Curt Hawkins. The Revival defeated Luke Gallows and Karl Anderson. Dean Ambrose and Seth Rollins defeated The Miz, Bo Dallas and Curtis Axel. Last Monday, the fans got to know that Jason Jordan was the son of Kurt Angle as the man revealed himself the secret. Both of them hugged each other after the revelation. However, the fall out wasn’t completely dealt with. After the show, both of them spoke in the WWE Network interview. Official site WWE.com stated that ‘The Angle-Jordan era begins’. Close friends, Bayley and Sasha Banks have to fight each other tonight in the ring. The winner of tonight’ match will lock horns with Alexa Bliss in the WWE SummerSlam scheduled to take place next month. Both the women superstars are strong competitors for the number one contender. Watch: Chelsea vs Bayern Munich. Both of them have already defeated Alexa Bliss in separate matches. So, who is going to fight Bliss in the upcoming month? What do you suggest? In another match, Seth Rollins and Dean Ambrose will go against The Miz, Bo Dallas, and Curtis Axel in a handicap fight. Last week, Kurt Angle asked Ambrose and Rollins to pick any two members of The Miz group, but they chose to fight all three of them. The former Shield members have fought many times in the last couple of weeks, but they are resistant from reuniting once again. It’s because Ambrose is strong wary of trusting Rollins. Let’s see how is goes down tonight. It will be interesting to see who wins. A crucial decision will be taken tonight by Kurt Angle. Last week, Braun Strawman interpreted the main event between Samoa Joe and Roman Reigns. He interfered and attacked both of them leaving neither of them winning. The winner of that match was supposed to take on Brock Lesnar in the SummerSlam match. What do you think Kurt will decide? Will it boil down to a fatal-four way match as has been rumored? Let’s check out in detail what happens next. What are your views and thoughts? Stay tuned to TheReporterTimes for latest WWE news and other sports updates across the globe.